The FUSION HMI is another welcome approach to improving operator control and interaction. At the core of the HMI is a rugged tablet that contains the user interface for complete control of the FUSION. Sunlight readable touch screen display can be operated in harsh conditions and even with gloves. 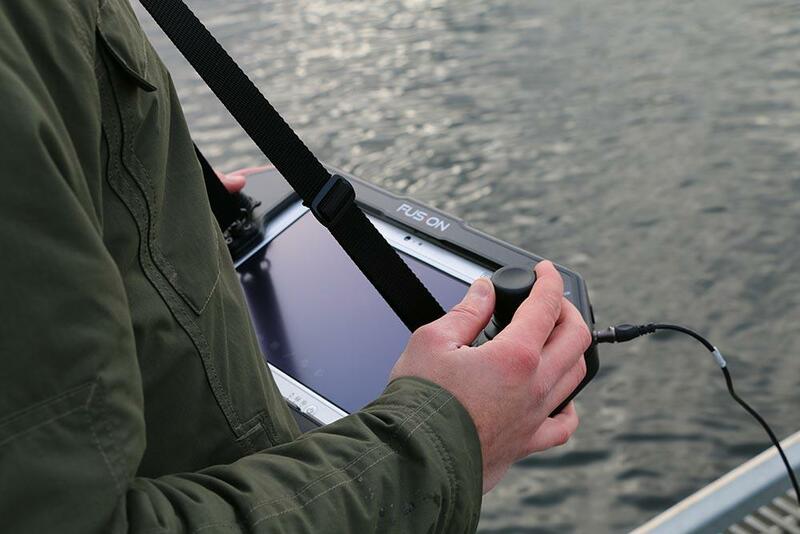 The portable design is ideal for operations from confined spaces such as small boats where space is at a premium. Controls are at the operator's fingertips with normal mode joystick controls (thrusters, camera tilt and grabber), however the primary control system is through the intuitive touchscreen. A single link cable connects the HMI to the Reel. Maintaining the intuitive approach is the FUSION user interface. 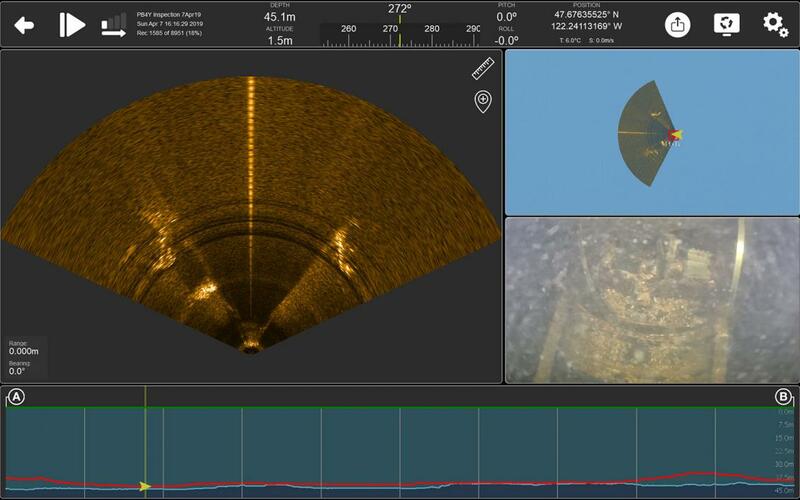 The simple to understand interface makes even the most novice operators comfortable in planning missions, conducting ROV operations, analyzing data or sharing files. Great care was taken to simplify the display and help operators focus on what is important. The touch screen makes selection simple and right at the operator's fingertips. 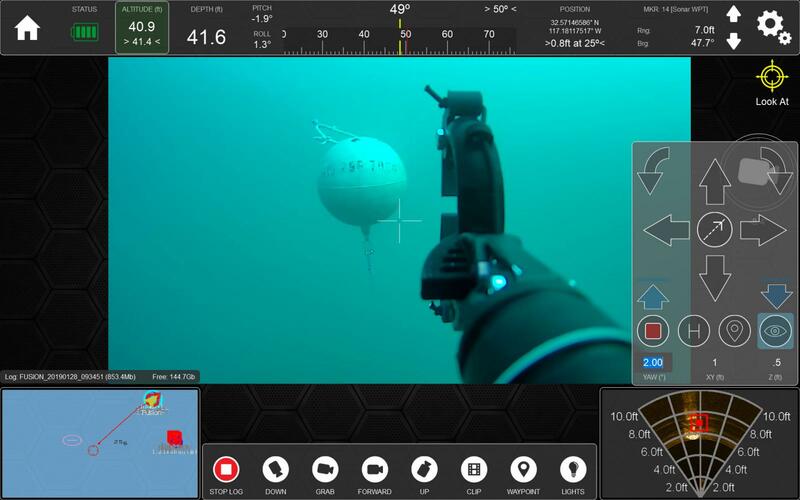 During ROV operations operators can quickly and intuitively understand critical vehicle information using the information bar along the top of the screen, regardless of what sensor data is being displayed. The traditional burden of cumbersome information is simplified to provide only that which is important during a mission including heading, steering indicator, depth, altitude, battery level, vehicle status, marker/waypoint range/bearing, FUSION position coordinates and HMI position coordinates. Also, access to the settings menu is located in the information bar. Each data value is a link to corresponding further information such as tapping Status to view more in depth vehicle details. The FUSION vehicle is equipped with a variety of key sensors that provide valuable real time data for the operator during demanding missions. 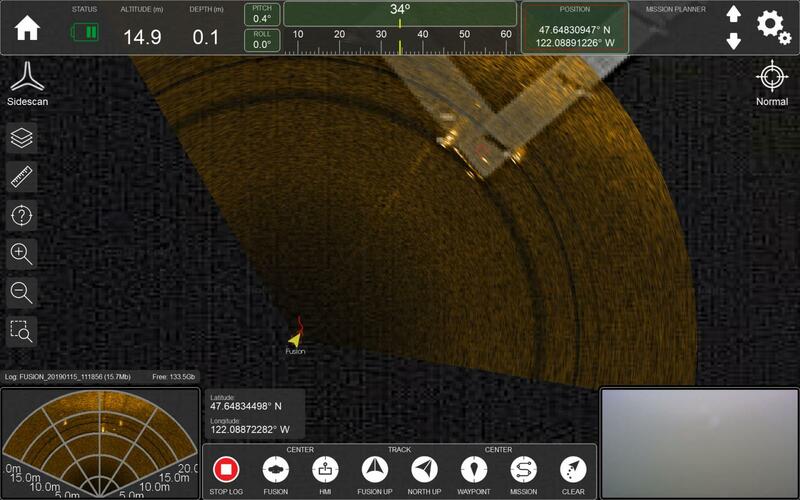 Position, sonar and video are all displayed cleanly to assist the operator. Each sensor can be prominently displayed by simply tapping on the corresponding window and reducing the other sensor data to minimized windows. When a sensor is dominant the function buttons correspond to the sensor. 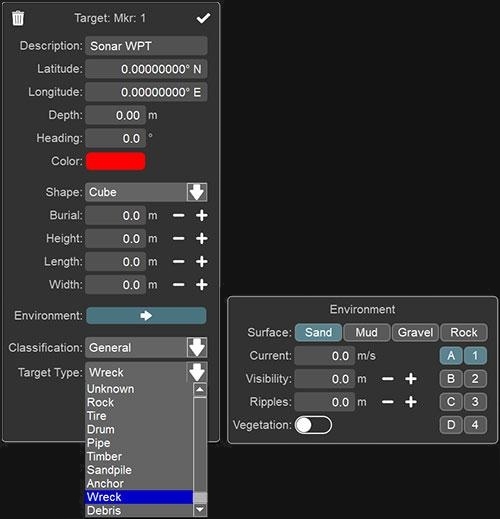 For example in sonar mode the buttons control range, gain, measure, frequency and waypoint placement. In video mode the function buttons control the camera tilt presets and lights. The navigation screen provides accurate georeferenced location of the FUSION. 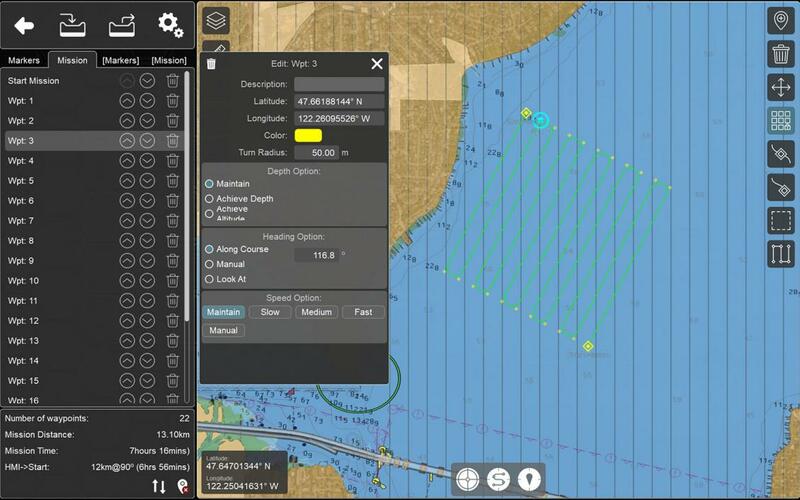 There are various layers available to suit mission requirements including aerial Google maps, vector based electronic nautical charts (S57 or S63) as well as georeferenced images such as sidescan sonar mosaics. The forward looking sonar can be overlayed in real time on the navigation window. Control mode allows the operator to use supervisory control to manuever the FUSION vehicle. 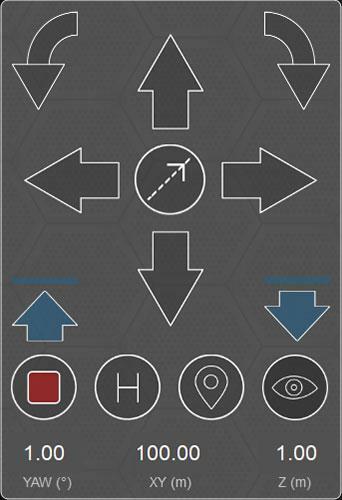 By simply tapping the Control icon in the upper right corner a menu appears allowing the operator to select the desired mode as well as define parameters. When in control mode a floating window appears on screen that allows movement in surge, sway, yaw and heave that pertain to the assigned parameters. In addition, the floating panel offers go to marker, return to home, course lock and orbit. Planning missions is done through the Mission Planner with a multitude of features to plan virtually any mission type. The mission planner can be used to place simple markers for go to targets, setup complex horizontal and vertical waypoint path following missions or using the grid pattern creator to conduct a lawnmower search. Each waypoint or marker has individual properties that can be assigned such as stop and achieve depth/altitude, look at, follow course and more. Missions can be saved, imported and exported. Importing target markers from third party programs also exists. During operations there are a number of methods to mark targets of interest. 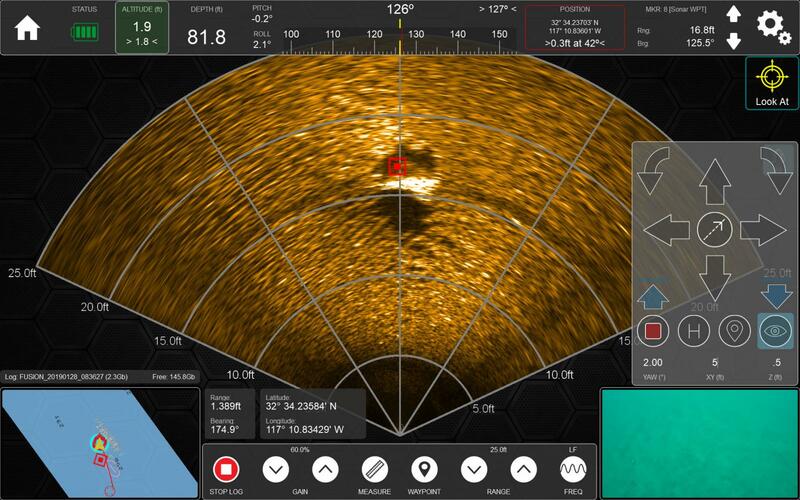 Operators can tap on a sonar target to create a marker that will remain visible in the sonar window or drop a marker at the location of the FUSION in the video screen. A shortcut button on the HMI captures the screen while placing a marker at the FUSION's location. Markers are stored in the mission planner and log file. When markers are placed a prompt appears allowing the operator to classify the target. A variety of data can be inputted including type of target, physical properties and a NATO standard EOD classification. The data is logged and available for export as a report. All FUSION sensor data is logged into a single file and stored on the HMI for easy replay exporting. The replay screen allows for operator desired layout. At the bottom of the screen is a depth profile and timeline for easy scrubbing through replay files. Long files can be trimmed and different formats can be exported including video files, sonar only files and shortened subsets that can be viewed in the downloadable FUSION Log File Viewer program.